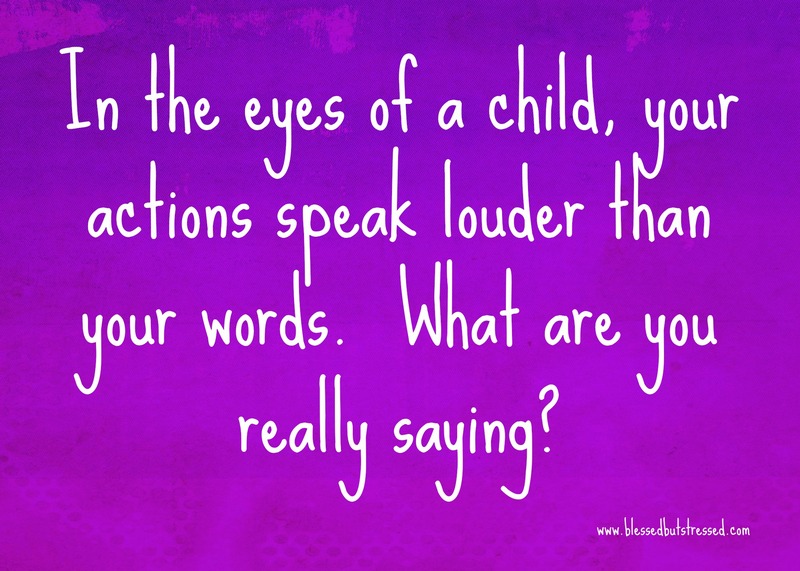 Have you ever noticed that your actions scream? When you rant and rave at your child’s basketball game, what message are you sending? When you excuse her school absence (when she chose to sleep in and was not sick), what are you hoping she’ll learn? When you get together with your friends and gossip and poke fun at those who are not present, who are you hoping she will emulate? When you ignore a child who comes to every practice and leave him on the bench, what are you hoping he learns to think about himself? When you yell at her and call her stupid while she huddles in the corner, what are you hoping she’ll grow up to be? hen you insist that those in authority are ridiculous, who are you hoping he’ll look up to? When you have time to text and watch movies and surf the net, but don’t have time to read your child a bedtime story or play catch, what kind of priorities do you expect your child to have? When you are too tired to listen to him tell you of his day at school or when you’re sick of hearing her crazy giggling, who do you expect she’ll want to talk to when problems arise in her life? When your Bible is covered with dust and you usually say God’s name only when you’re angry, who are you hoping he’ll worship?